Plus, "PlayrShp" textures? Maybe the map was a mix of ancient and modern style? (Like it is on UT4)? Indeed in the UT4 version of the map, there's a ventilator right at that place. So maybe they decided to make it more like the very-original CTF-Face. As you can see in my video has the Redeemer place no direct connection. The only way to get to it is via jump from the top or via transloc jump. Does the beta CTF Face have the playrshp textures too? (EDIT: Yes just checked and it has more than just that texture being used on brushes, brush6 and brush19 are interesting also brush29) Either way, fun fact is that Inoxx originally did what became Vortex Rikers, except it was only called as such when Cliff took over and made the new map. So Inoxx and Playrshp kinda go together when you count the earliest history. 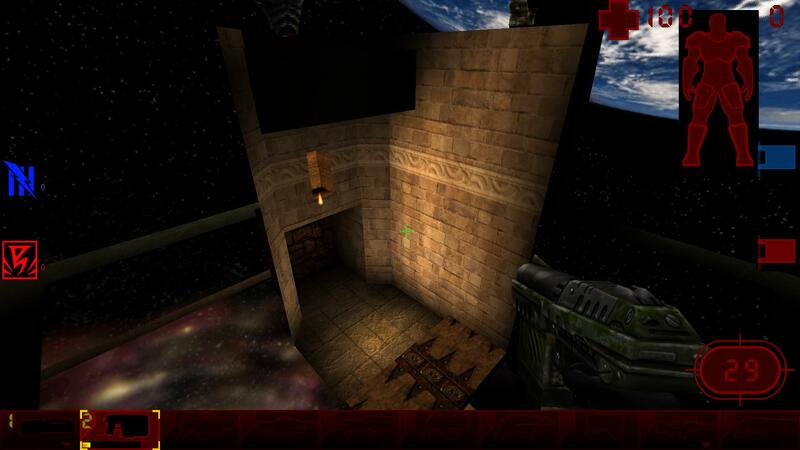 small level , adjusting lighting become really hard in big levels . Rebuild only the zone where the camera is and only the lights of this zone . then raytrace the lights of the Zone and the lights of the neighbour Zones. step which is not important in this case . > autodestruction trigger , then the entire ship in illuminated with red light. > Some cheat are possible if the engine can't do that but that will be cool. > Will the zone lighting properties work on the pawns ? Actually, how about a trigger that can change most of the zone properties? le module KERNEL32.DLL à 0137:bff78040. This happen when I try to open my map . your map is corrupted , I had a bug when I tried to export it to t3d too. autodestruction trigger , then the entire ship in illuminated with red light. Some cheat are possible if the engine can't do that but that will be cool. Will the zone lighting properties work on the pawns ? Is it usefull to set the unlit setting on the polys tagged with "fake backdrop"? There sure is in the demo version though. In fact, this makes me think, did they use the demo version of the map as a base for the release one? Because I know there was a screenshot from the UT beta in gamestar magazine that showed Phobos in it (otherwise the beta seemed identical to the leaked one, except that doesn't have phobos in it). So then it seems strange why they would use the demo version as a base because the demo version of UT lacks several weapons, you never get flak cannon, ripper or the biorifle. 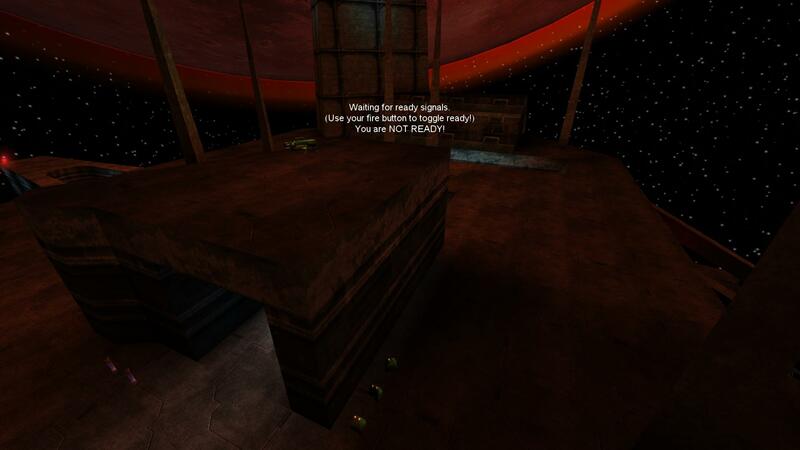 So in Phobos you just have eightballs, shockrifles, pulseguns and miniguns there, yea not even sniperrifle. Except that can't be the case that it is based n the demo as that opening which has the pulseammo and the rocket pack is missing in the demo version of the map, lol. So it must have had an intermediate version still between the release of the demo (which is in the 300 engine range and not 400) and the release version. So it must have had a pulsegun still instead of the biorifle perhaps. 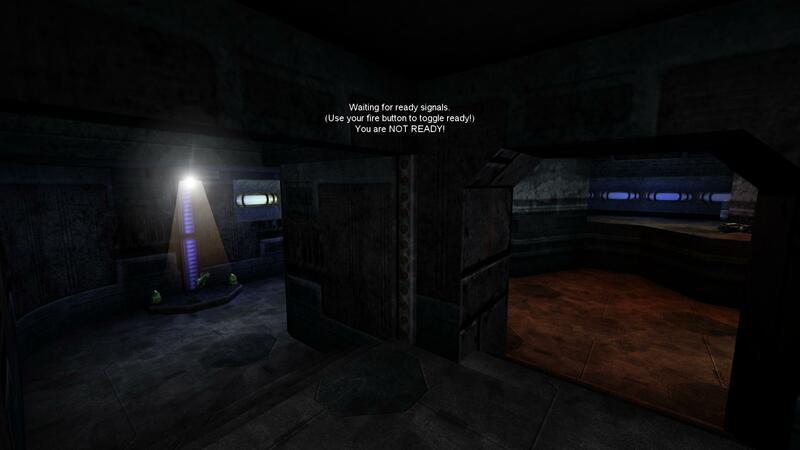 this is from the 3dfx demo which is different from the beta and retail demo, in the demo version of phobos the room where the pulsegun ammo sits hasn't been created yet. 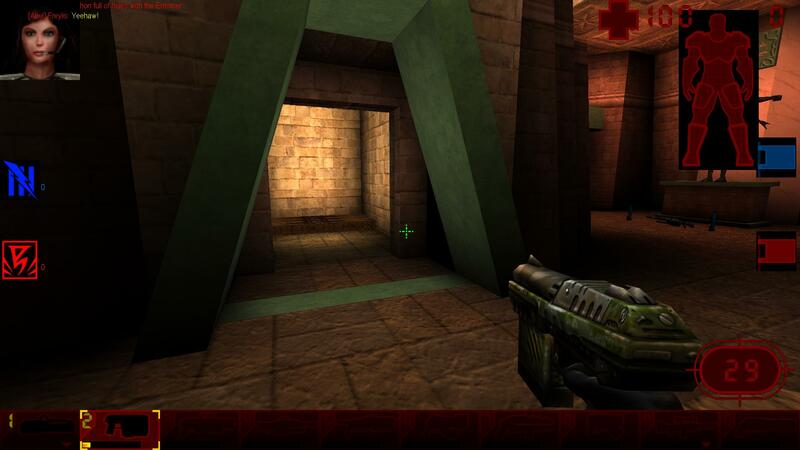 Those images you posted are not from the 3dfx demo, they are from the later demo that has tempest already. 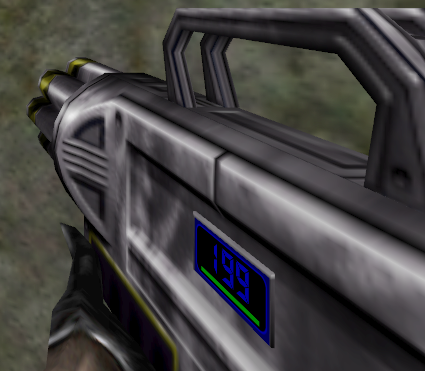 The pulsegun skin was different in the 3dfx one. I played both. There is no "retail demo" both are beta versions. EDIT: I realize you could ahve just copied the map and opened in the "retail ut" explaining the looks of the pulsegun. Leo(T.C.K.) 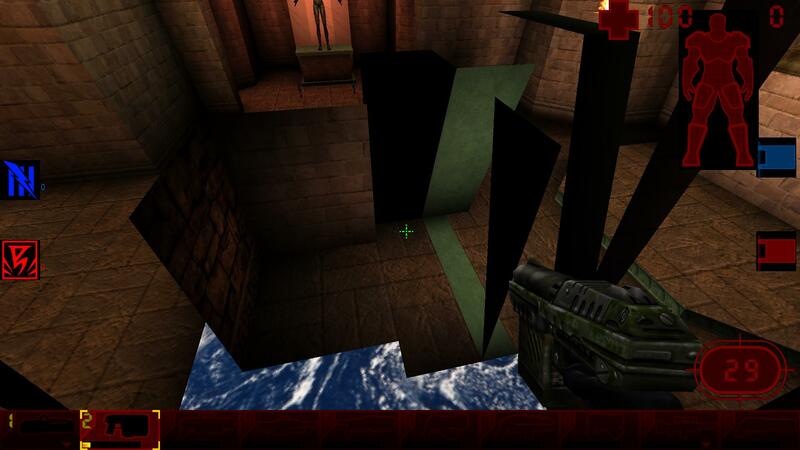 wrote: Those images you posted are not from the 3dfx demo, they are from the later demo that has tempest already. 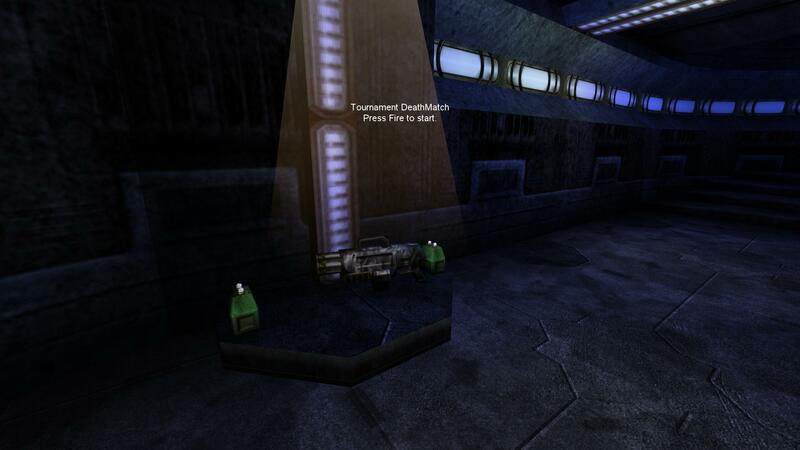 The pulsegun skin was different in the 3dfx one. I played both. There is no "retail demo" both are beta versions. It might appear in the "FLP" expansion pack though, as in what I had planned before some events took place, right now the FLP pack has the reloadable pulsegun from ut beta, but not this specific variant of the skin. (its actually only different in the first person mode though as the 3rd view is exactly the same skin as in the old ut beta). Do you have problems running the actual demo btw? It's good to use with a glide wrapper honestly, or an old machine that still has a voodoo card. Thanks for the information about the plasma ammo. My understanding was the plasma gun was in the demo but removed and replaced with Bio Rifle for the final release and that the ammo left over was forgotten to be removed. Yea but there is obviously a missing link version of Phobos and the leaked UT beta was supposed to have Phobos as well, evidenced by the screenshot in a gaming mag I have. So the true story might have been a bit interchangeable if you get what I mean. They might have reverted to the demo version of the map at some point for whatever reason.